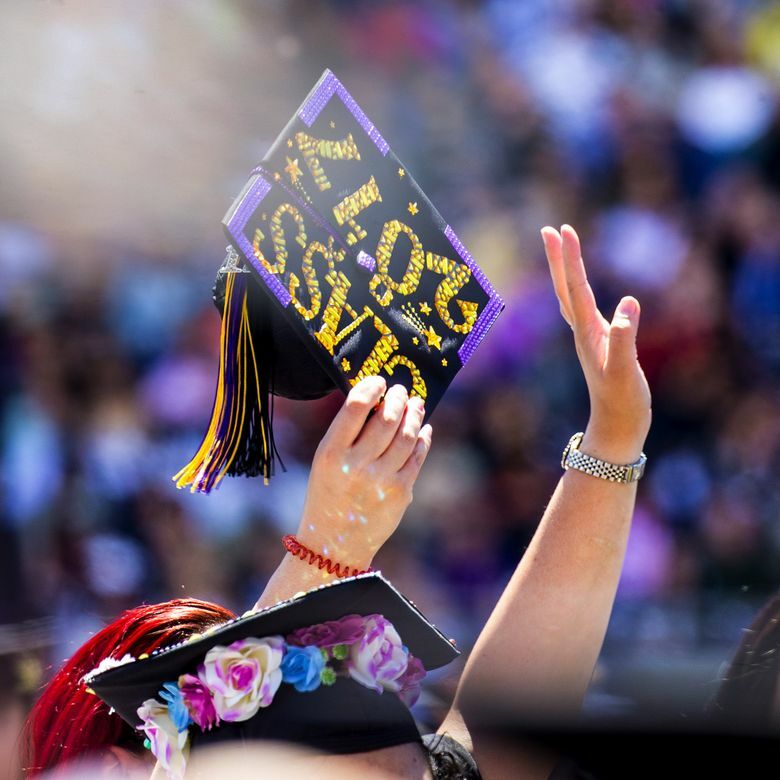 Students who graduated from Washington colleges are carrying less debt than students from many other states, a new survey shows. Here’s one survey where it’s good that Washington is ranked near the bottom: the average amount of student-loan debt. Students who graduated from Washington colleges in 2016 have among the lowest average student-loan debt when compared to grads in the rest of the 50 states and the District of Columbia, according to a survey by LendEDU, a New Jersey company that offers student-loan refinancing. The state as a whole ranks 45th. On average, Washington student graduates had $24,164 in average debt per borrower in 2016, the latest year for which figures were available. That’s a 3 percent decrease from students who graduated in the class of 2015. Nationwide, the average amount of student-loan debt for the class of 2016 is $27,975. That’s down about 1.5 percent from the class of 2015.